peacelovebear: my best friend is getting married! I met Haley 2 Octoberishes ago. She started working at Urban, and through Marla Hansen, we became friends. When she was living in DE, we had haley-lana tuesdays every week, and we'd have a slumber party, and hang out. She decided to move to Philly- and I needed to find a roomate, so we got our cute little house on Montgomery ave. It's almost been a year of living together, and I cannot even tell you what an amazing year it has been. (im getting teary eyed thinking about it) Haley has become one of my most trusted friends. Haley and I can have fun together, be silly together, we enjoy doing so many of the same things, but she is also there for me when it seems like my world is falling apart. She is ever encouraging, and even when I'm doing stupid silly things- she keeps me accountable, and loves me through it all. She is always helping me to grow in my relationship with God, and teaching me how to love. She is kind and thoughtful, and forgiving, and sweet. She is funny, honest, and SO CREATIVE, and not to mention the most adorable girl. She met a boy one day, and I got to watch her go from kinda hanging out with him- to completely falling head over heels in love with him. One of my favorite things in the whole entire world is hearing her laugh- and Jason makes her laugh so much. I love hearing her giggle for hours and hours when I'm in my room, and they're downstairs. 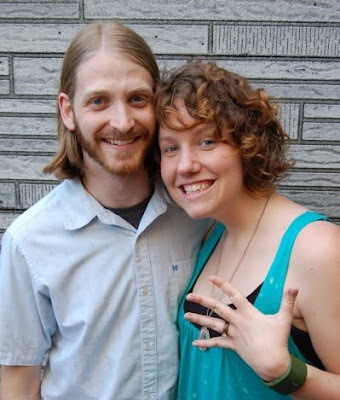 Last weekend Jason proposed to Haley, and now my best friend is getting married!!! I am so so SO happy that I've gotten to be a part of their lives this far, and am looking forward to being a part of it for the rest of my life! They are an amazingly, awesome, adorable couple- and I am so excited that they get to share the rest of their lives together! Congratulations Jason and Haley- I'm glad you'll only be down the street.